Denver: Let's go karting this Sunday! Hello Denver people! I was very excited to go ice racing this weekend up at Georgetown Lake, but that got canceled due to the warm weather. 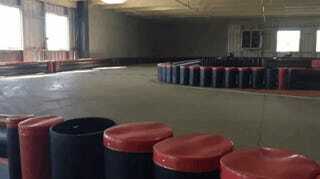 So, the two of us idiots are trying to throw together a karting meetup at Unser, 1pm on Sunday. Here’s a Facebook event where you can RSVP. We’ll bring our podcast stickers and excuses for slow driving. Who’s in? And, if you don’t know what I’m talking about with the Georgetown ice racing, check out Our Gang 4 Wheelers and try to make it up for one of their race weekends once winter decides to start. We Made A Very Silly Video About A Very Silly Subaru.